Beyond the many guns — like the Glock 48 and 43X and new Mossberg MC1sc pistol — and the shooting stars seen at SHOT Show Industry Day at the Range, there were any number of other people and things I saw that merit a brief mention. Ashley Hlebinsky is not a shooting star, per se, but she is a TV star of sorts owing to her work as an expert and judge on Discovery Channel’s show “Master of Arms.” She is also a serious and astute museum curator. In fact, she is the Robert W. Woodruff Curator of the Cody Firearms Museum in Wyoming, which had a booth at Industry Day and is most definitely on my bucket list of places to visit. Selfie with Ashley Hlebinsky, Curator at Cody Firearms Museum. Bigfoot sighting at SHOT Show Industry Day at the Range. 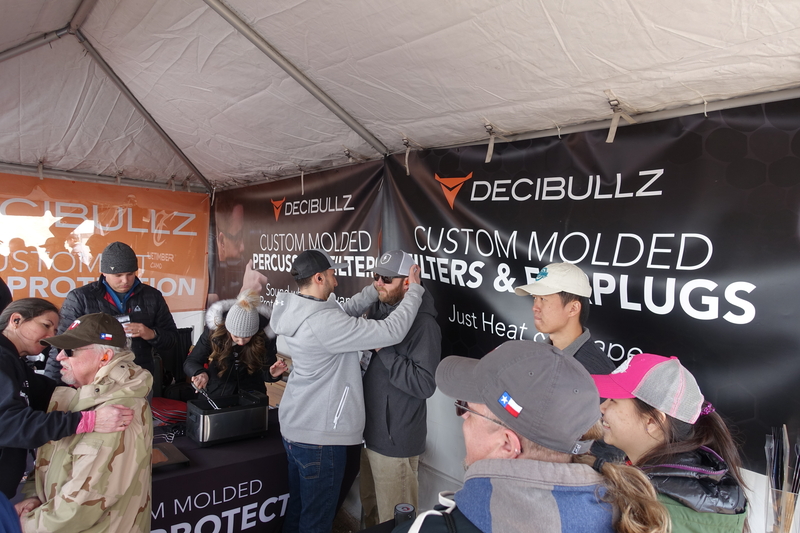 Decibullz was on site giving out custom molded earplugs. They have a foam tip that goes into your ear canal which is held in place by a thermoplastic unit that is boiled and then shaped to your outer ear. Come in multiple colors, a solid NRR of 31, and can be reheated and molded if necessary. A great deal for just over $25. 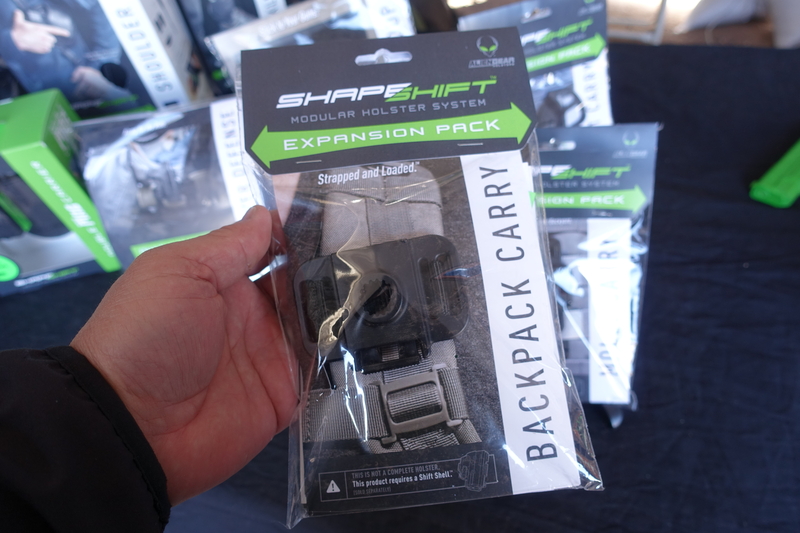 The gun culture cognoscenti I know are not big fans of AlienGear holsters but I definitely like the idea of a holster that I could put on the strap of my backpack when hiking. Of course, I would want to put a Colt King Cobra in it and AlienGear doesn’t make holster shells in their modular system for any revolvers. John Daly is an Irish Army veteran and electronic engineer who wanted something to help people become better shooters faster. 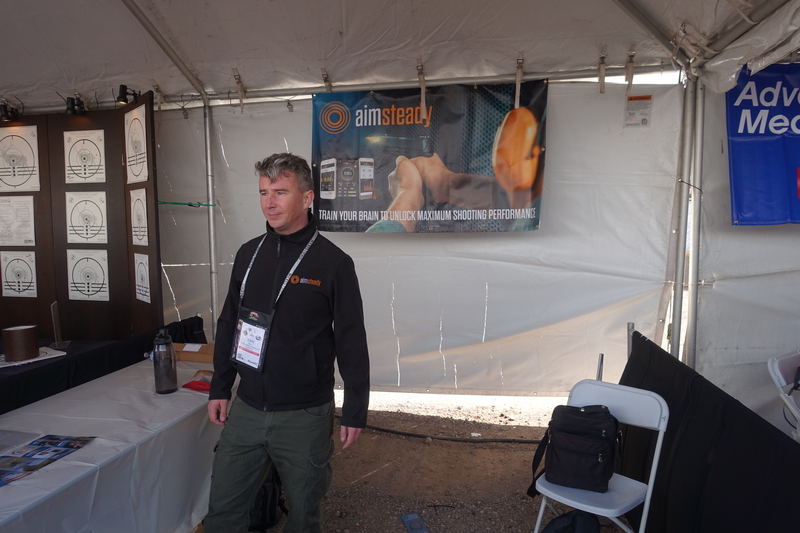 So he and a friend created “AimSteady,” which he calls “the world’s first wearable marksmanship coach.” Actually, Daly makes clear that it is not intended to replace an instructor, but he wants to take 10,000 rounds mastery down to 1,000 rounds. The product is an electronic ring that people wear that can detect unwanted movements during either live or dry fire and provides real-time, shot-by-shot feedback through a smart phone app. The product is launching in May. They plan to do an Indigogo for $149 (MSRP will be $249). There was certainly much more to see at Industry Day at the Range than I have written about in these posts, but these are some of the highlights for me. 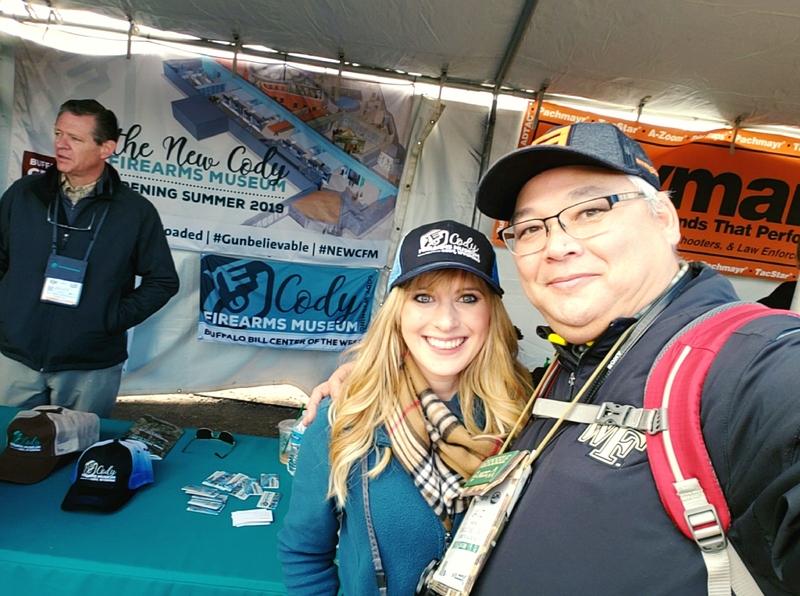 Tags: AlienGear, Ashley Hlebinsky, Cody Firearms Museum, hearing protection, National Shooting Sports Foundation, SHOT Show. Bookmark the permalink.